Since 2007, GoodTherapy has helped people like you connect with ethical, compassionate counselors and therapists. 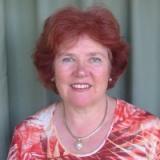 The therapists listed above, who practice therapy in Berlin, are trained to protect client confidentiality and privacy. In keeping with our high membership standards, these mental health professionals are also committed to eliminating the stigma that keeps many people from seeking help. Rest assured there are qualified therapists in Berlin who can treat a variety of concerns, including family conflict, relationship issues, anxiety, or depression. With our directory, the right therapist is easy to find. Are you a therapist or mental health professional looking for new ways to get referrals and market your practice in Berlin? Keeping up to date with professional requirements and increasing your online presence are just two of the many benefits of joining GoodTherapy. Start connecting with clients and earning online continuing education credits today!.